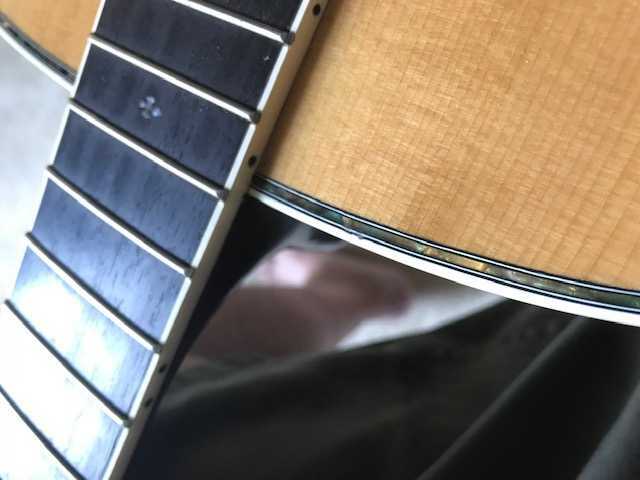 General Acoustic & Electro/Acoustic Guitar Forum covering all brands other than Yamaha or Yamaha guitars without a dedicated forum. 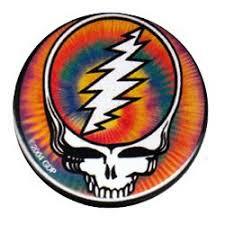 My name is Stealyerface, and I am from Upstate NY. 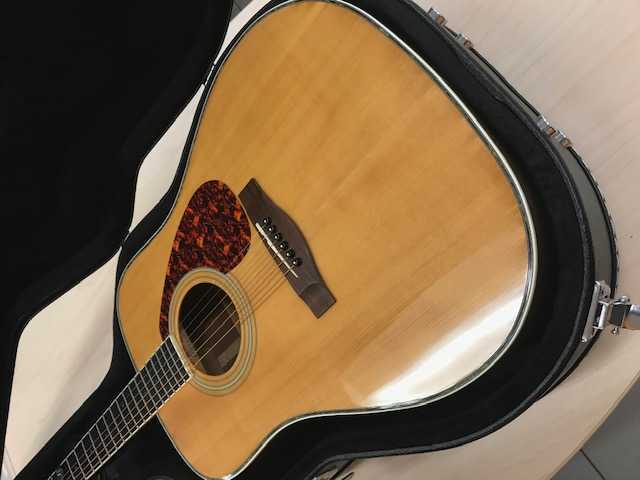 I recently scored, at least I think I did, a deal on Craigslist, from a guy who seemed to be having some troubles in his life, and had to part with a guitar that I wasn't actually looking for, but seeing as though I did not have a dreadnought in my lineup, it was worth a shot. This is my first Yamaha, to go along with two Taylors, a Gibson, and a Martin. 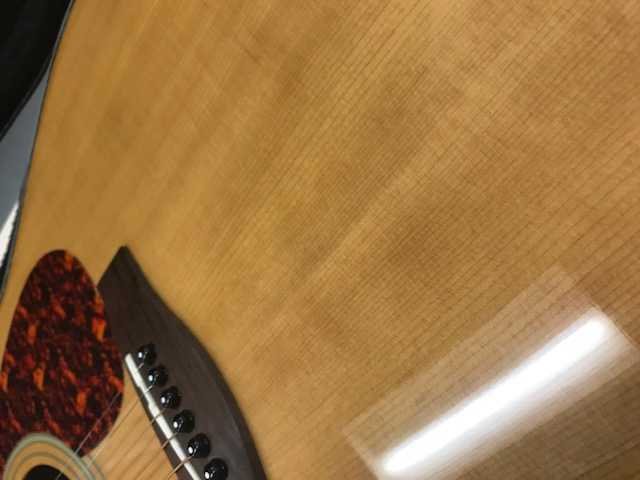 Seeing as though i know very little about these particular guitars, I figured I would post some pictures and some info, and see if I can get an idea from the experts of my find. I bought what I think is a 1995-1996 DW-5S in pretty much un-played condition. Not a mark on the guitar, not a ding, no fret or fret board wear, and just no signs of anyone actually playing or loving on this guitar. I put Elixirs on it after a cleanup and wipe down, and although I do not believe this guitar will supplant my number one or two, it seems like a nice candidate to take to the lake for the summertime. I am pretty impressed with the binding, some pretty nice abalone (shell) inlay, and overall, it seems like a pretty solid guitar. Thanks for any input, and thanks for having me in the group. Re: Greetings Yamaha Guitar Folks..
That's a REALLY nice guitar for 150 bucks! You probably know as much about the DW as I do. It started life as part of the LL series and was then hived off into it's own model range because unlike the rest of the lineup at the time it was the only one to stick to proper dreadnaught dimensions. 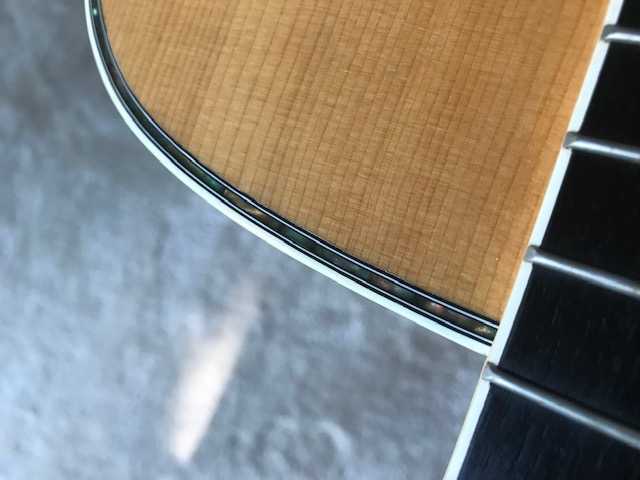 Generally speaking it was a mid-range guitar and that particular model has Solid Spruce Spruce Top with laminate Rosewood back and sides, Mahogany neck, Rosewood fingerboard and bridge, Mother Of Pearl inlays on the fretboard and Abalone detailing around the binding. Thanks for the welcome, and the info. I looked online, but as you mentioned, with the model discontinued, the information on the DW series is pretty spotty. 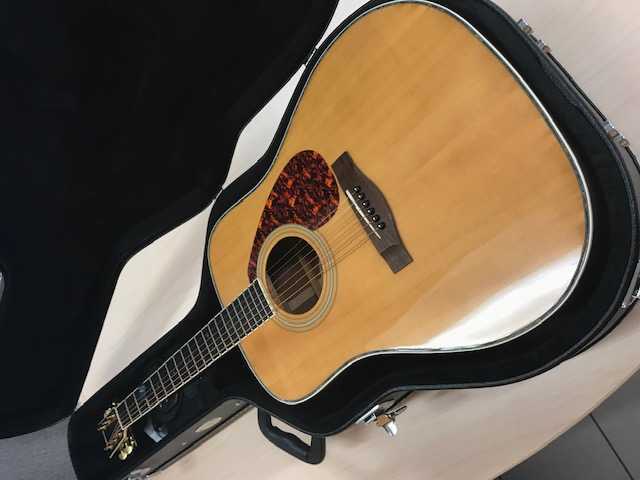 It seems like it is sturdy enough to take it lakeside, and have a decent guitar that I don't have to babysit with the humidity and temperature changes. Indeed that is one of the plus points to the laminate back and sides. It will be stronger and more resilient against life on the road and also less prone to temp/humidity fluctuations. But we might have an issue here: I agree with Saul on the specs........ almost. But we have to solve one thing: You can find specs stating a solid top, and specs speaking of a laminated top. But now we can have this info first hand: just check if you can see the top is solid or not, and let us know. BTW: I go for solid so I think Saul is right. Some more info: production years 1996-1999, and original MSRP 649 usd. Great looking fretboard! I like it when rosewood is as black as ebony. I am under the impression that the "S" at the end would mean "Solid Top"? Serial number decodes (according to Yamaha Serial Number breakdown) as a build day of Dec 30th 1995? Maybe one of the first 96's that got finished after the New Year?? 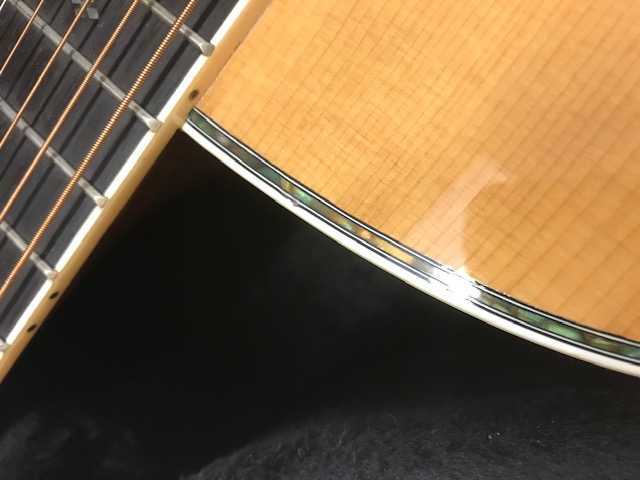 I actually thought the fretboard was ebony due to the color... I don't mind rosewood at all. 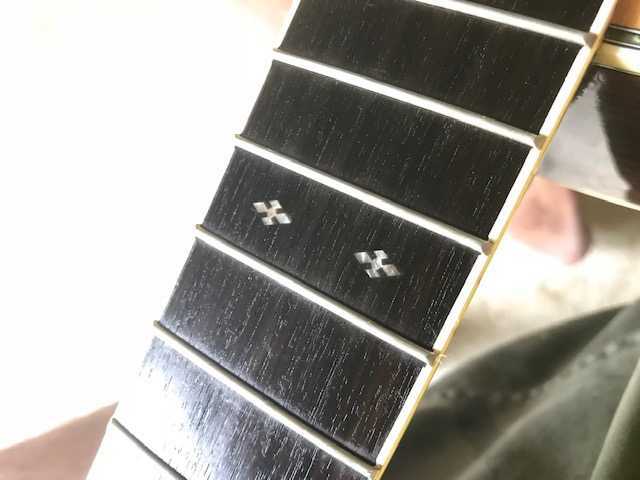 My Taylor Fretboards are as black as ink, and this is definitely lighter, so that makes sense. Neck seems to be Nato, no mahogany. New post NAMM 2019 Blue Cat Re-Guitar Plugin - infinite number of guitar tones out of a single instrument! 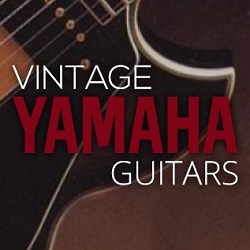 New post Anyone with a Yamaha MG guitar? 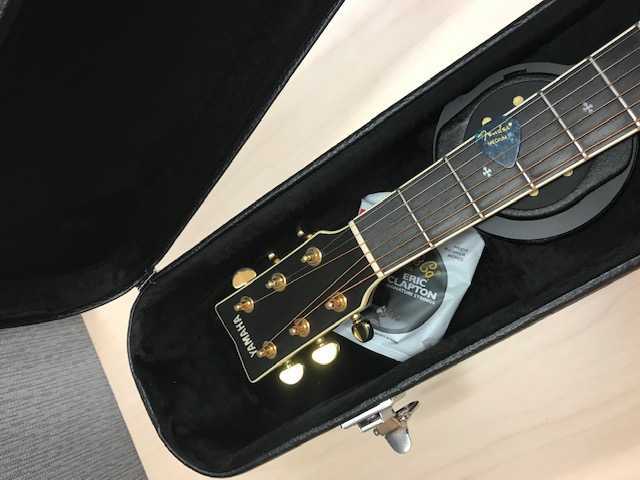 New post Yamaha at uk guitar show? New post Yamaha VG std violin guitar.